As a small child my favorite decorations for Christmas were our stockings. I always thought they were the most beautiful stockings out of anyone’s I’d ever seen. And they are pretty special! 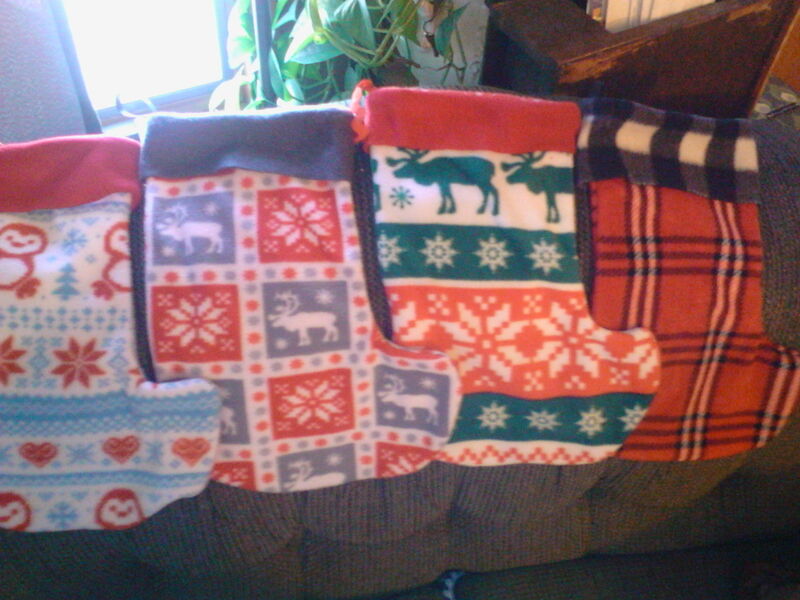 My mom hand crossed-stitched each stocking with a beautiful image and our names. Mine has a vintage looking Santa. My sister has a variety of Christmas toys, dad has rows of Christmas images and my mom has a Goose. Now, we’ve added so that my Niece and children all have them too. We keep them at my parents and so that Nana and Grandpa fill them with our gifts each year. They are still my favorite part of the Holiday decorations! Because these were my favorite growing up, I wanted to find something special for my own family. I started looking for something great during my first Christmas with my husband. I didn’t end up buying anything for the past three years because I didn’t LOVE anything, and I didn’t want to buy some, then have our family grow and not be able to add to them. I had bought some ‘ok’ stockings for Ross and I. Josiah had been given a “My First Christmas” stocking as a gift, and he has used it twice. 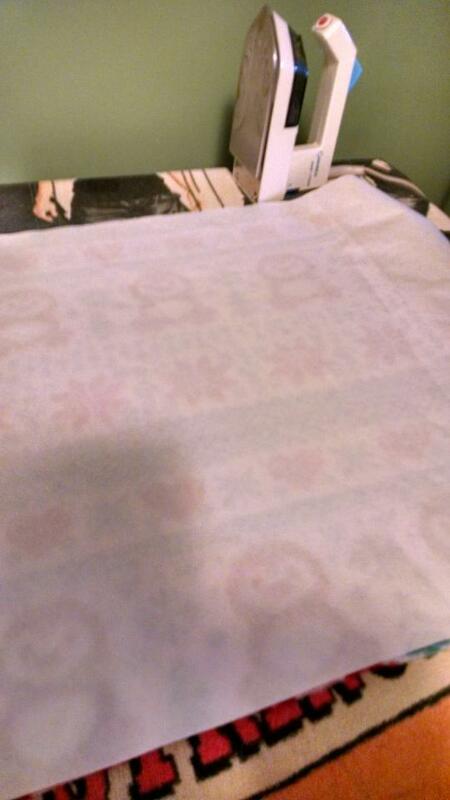 But now, with baby Charlotte, we needed something new. Again, I couldn’t find anything I really loved. So I took on the task of making my own! I can always add to them now too! These are not nearly as beautiful as the ones my mom had made, but they are fun and will work. 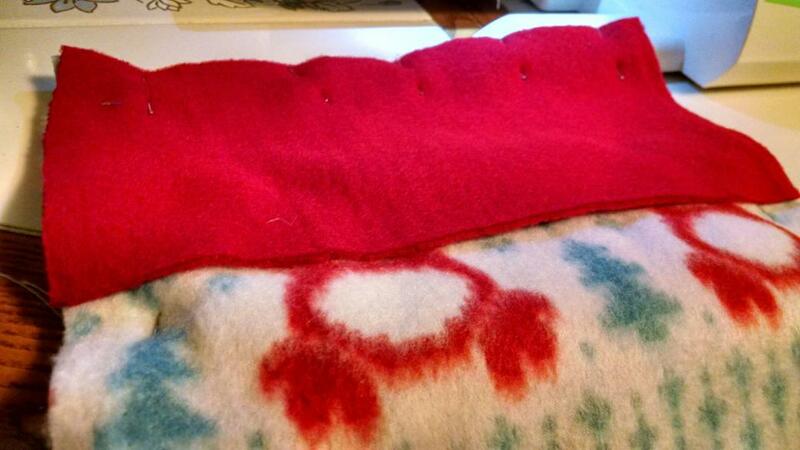 I decided fleece was the way to go. It’s fairly easy to work with and quite forgiving. Plus I had some on hand. 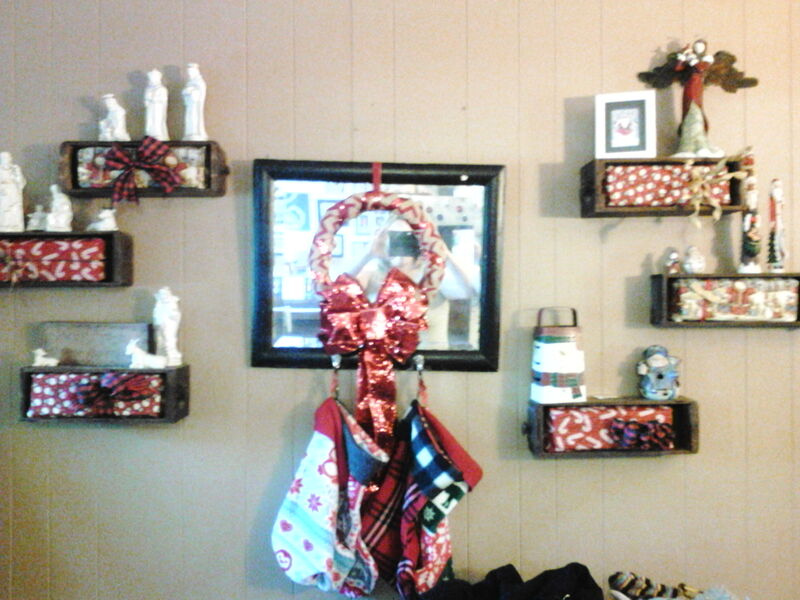 I did buy a few new designs, on sale at Wal-Mart! Then I got to creating. I would love to share a pattern… but I didn’t really have one. 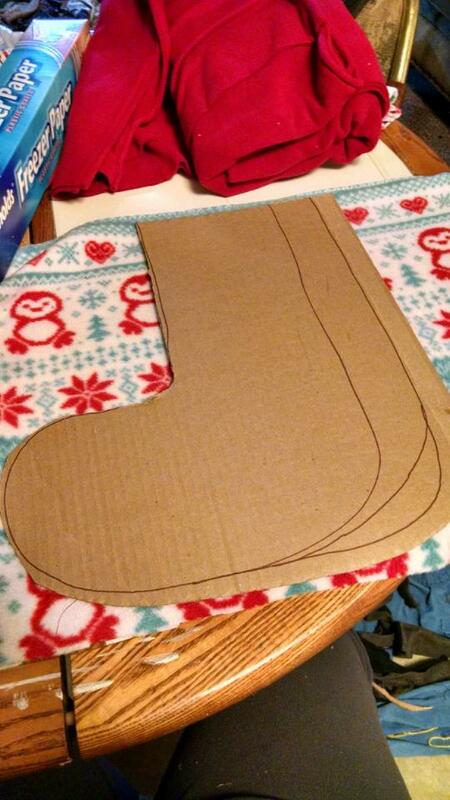 I did cut out a basic design from cardboard to make all the stockings the same. 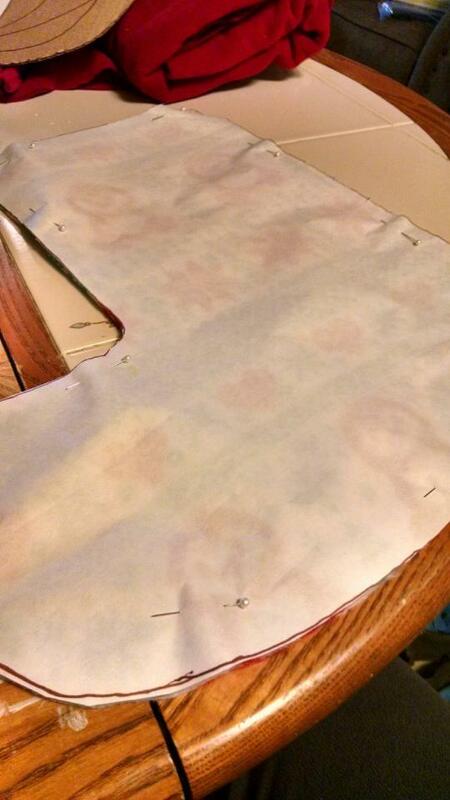 Best tip for working with fleece (and felt), iron on some freezer paper to it! 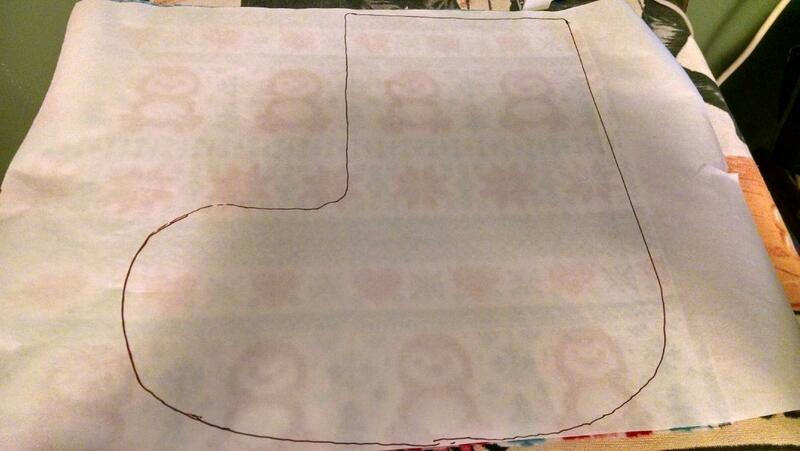 It’s easy to draw your pattern on, then much easier to cut. 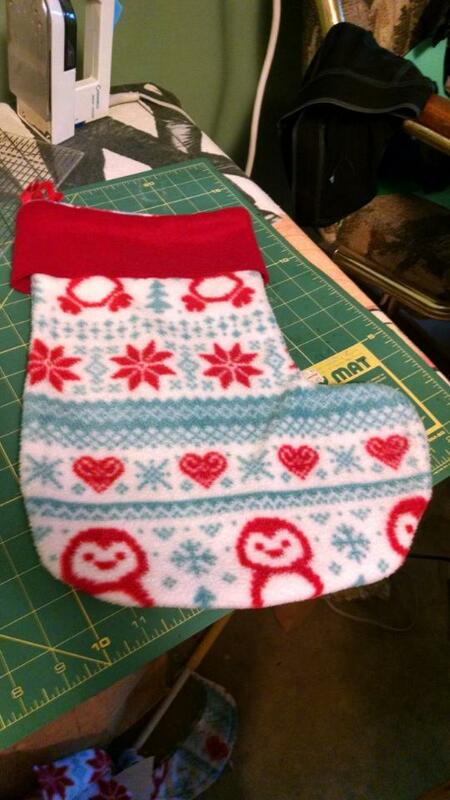 After I sewed the stocking, I added a “cuff” with another color, then added a loop of ribbon. By the last stocking, I realized I should be putting the loop on at the same time as the cuff for a much more finished look and better hanging. I’m pretty happy with the way the turned out and hope my kids will come to love them too. 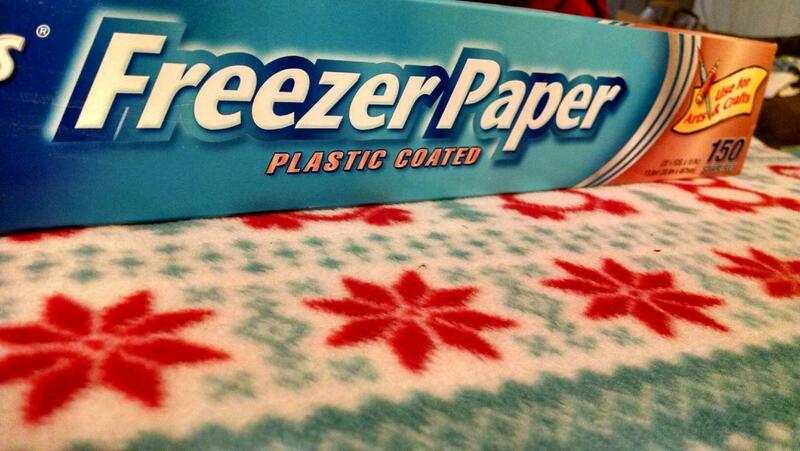 What’s your favorite holiday decoration?